Today’s meeting, March 7, 2018 will be held at St Mary’s Church Hall from 7:00 P.M. and will also be broadcast live on ZBVI 780 AM. “It’s a public meeting for everyone. Your future, your children’s future and your children-children’s future is about to be mortgaged. Please take a stand,” Hon Fraser wrote on his Facebook page on March 5, 2018. 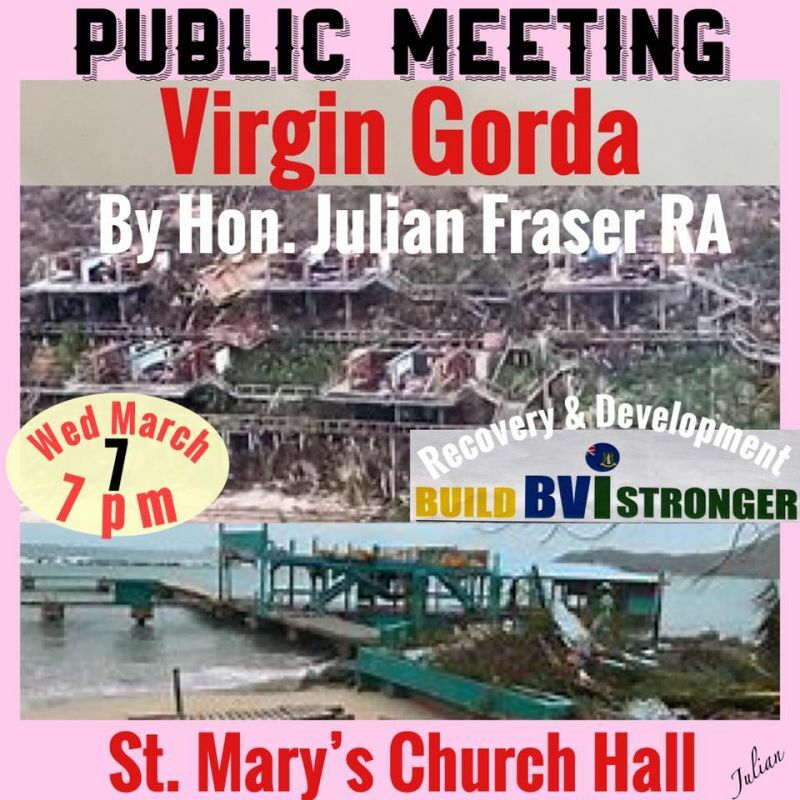 A critical look, he previously stated, will be taken at how those monies benefit developments in Virgin Gorda in particular and what the people of the Virgin Islands stand to gain in general. He had also promised that residents’ questions and comments would be documented and forwarded to the Recovery and Development Committee for consideration. The children 13 years old will have to pay back the $721M loan after not being able to vote in the next two elections. 2019 and 2022 since the loan is slated to be disbursed over the next 5 years. How could we vote to mortgage our 13 year old brothers and sisters without having a conversation with them about paying back the loan. PS what about the British granting the money rather than loaning the money? What about calling elections NOW rather than going through this folly. @LOL, i was wondering if should chill a bottle of wine and get ready for the jaw punching outburst rant part 2. It is clear that Hon J. Fraser, D-4, has moved on from the VIP. This is childish and immature behaviour. You cannot be both fish and fowl; you have to be either not both. It is poor followership and leadership. He led the VIP disastrously to the polls in 2015 and got an 11-2 beat down. He has been fuming ever since he lost being leader of the Opposition. Be a man and tell the VIP meh dun wid ah yu meh son. The Hon Fraser will 1) leap aboard the NDP train, 2) run independent or 3) launch a new party. He can hold a meeting wherever he wants in the BVI. By the way, hope he informed Hon O’Neal this time. No fighting please. Lol. seems he is doing his job at he was elected to do. More citizens needs to be like him. 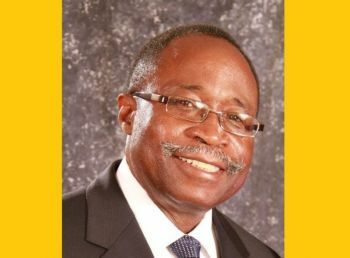 Twelve - The only reason the BVI has to borrow the money is because of successive years of poor management by various governments. In the good times, no money was put aside. Why should the UK just give money it does not have to the BVI? Get in the real world. It is the bad choices made by the BVI that have led it to this position and, consequently, why future generations will have to pay the loan back. The same thing has happened in the UK historically, just consider the much more substantial Anglo-American loan after the second world war. Nothing in life is free and the BVI should not expect it to be. You do not recover from such a disaster with a few million dollars saved up in the bank. We are here bashing the Territory for needing assistance meanwhile every other island is getting assistance to the tune of hundreds of million us dollars in cash and aid. 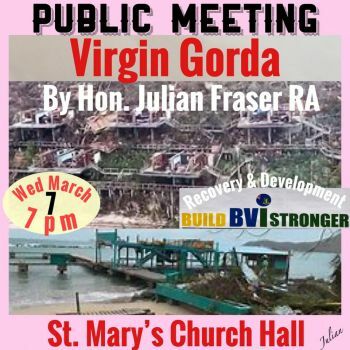 It will cost about $1Bil to get the BVI back on track and no savings or management could prepare us for what we face. When lending there are stipulations in place no matter what. If the UK didn't trust the BVI they wouldn't be underwriting $700 Mil USD, they would be sending the money and their people to manage it. It doesn't matter how good your credit is, you go for a mortgage you follow rules laid down by the bank. The rules that the UK have laid down are not onerous, they're basic rules. We got $15mil from CDB over 5yrs ago and can't get it spend because of the stipulations but where it has been spent have you seen those project crumbling? NO!!!!!!!! We earn the right to a grant from the UK, we fly their flag daily. We did not ask to be a territory, we are a UK Territory. Sorry, you are British by name only, not by conduct. British passport holders don't have any more rights to live here than any other nationality, so, why should British tax payers bail the BVI out. It's time for the BVI to decide if it wants to be truly British or independent, if British be an open territory and allow British people in with Belonger status, if not, take independence and get your money elsewhere. Is he preventing the back benchers take over. ?